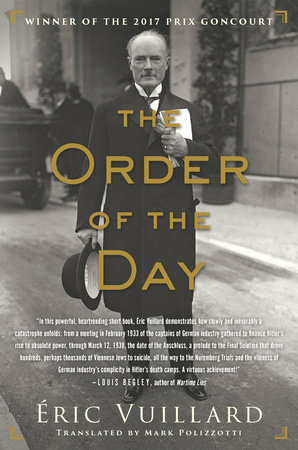 Eric Vuillard's 'The Order of the Day' is a self-conscious and questioning meditation on power. On February 20, 1933, 24 German industrialists were invited to meet Adolf Hitler as the March 5 elections approached, elections that Hemann Goering said may be the last for a hundred years. Hitler asked for their support to defeat the communists, crush the trade unions and ensure free enterprise. Hitler left and it was Goring who collected the contributions to the party – the real purpose of the meeting. 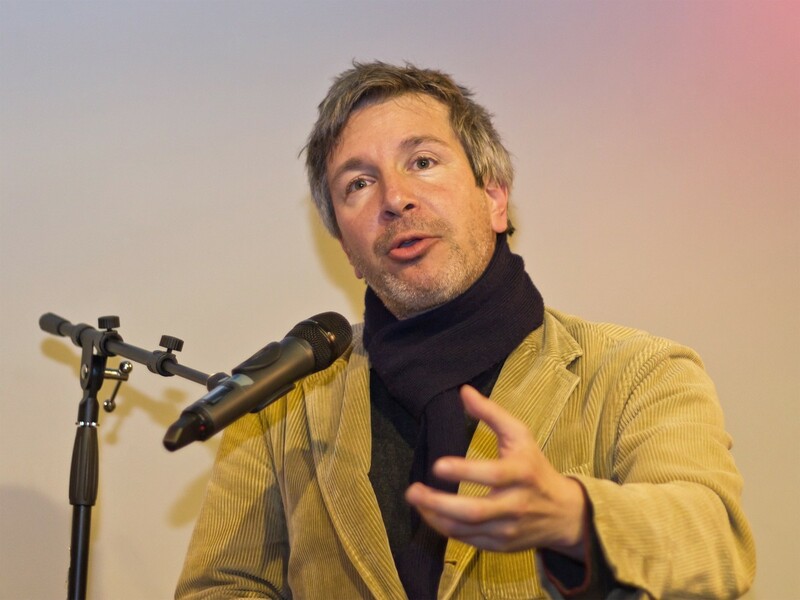 Éric Vuillard, in The Order of the Day, winner of the 2018 Prix Goncourt, looks at the rise of the Nazi party in Germany to power. It examines the way the Nazi’s won over industry and foreign powers to annex Austria and establish their control. This short lapidary work may read like a historical essay, and much of it is, but it really is not a historical study. It is rather a self-conscious and questioning meditation on power, and its representation, one aware of the continuing links of this past with the present. It is also not a novel but what the French call a récit. Andre Gide, who distinguished his novels from a récit, said the novels he wrote expressed the complexity of the world, but he wrote a récit, notably The Immoralist, from a single perspective. The Order of the Day is about how fascist ideologies seize power and win support using fear and bluff, and how the business tycoons and politicians continue to flourish while ordinary lives are extinguished. Recalling this dismal history is a job, as the title seems to imply, of pressing concern today. Vuillard’s each finely sculpted chapter, with brilliant use of the telling fact, drives home the sorry self-serving that eased the path as the Nazi juggernaut rolled on. The story is not just about the past but its re-telling, and how these events have been shaped by the media that is enmeshed in these power structures. The rising concern with the how fascists came to power reflects the powerful tide of populisms that have come to power across the globe and the challenges they pose. One crucial support to fascism was industry. Historians may debate the exact nature of the ties between German industry and the Nazi party, but it’s clear that industrial leaders rarely resisted and benefited enormously from Hitler’s regime. He returns to this theme at the end of the book to look at the close collaboration with the Nazis and, and then the whitewashing after Germany’s defeat and the end of the war. For instance, the Thyssen-Krupp website, he notes, underplays the collaboration and suggests that it was minimal and reluctantly done. Gustav Krupp had committed huge sums to the Nazis, and had benefited enormously by employing, just as other German companies such as BMW, Daimler, Agfa, Telefunken did, deportees from Dachau, Aushwithz, Papenberg, Buchenwald and other concentration camps. The workers were maltreated and worked to death: supper, Vuillard writes, took two hours not because there was ample food but because they were not enough bowls for everyone. IG Farben even had an official ‘IG Aushwitz’ listed as one of its branches. And after the war, when compensation to the Jews became an issue, Gustav Krupp’s son Alfred, a pillar of Pax Europaea and a leading light in postwar Europe, negotiated a settlement to pay $1,250 to each Jewish prison worker, but gradually whittled it down to $500. Then, as the number of deportees claiming compensation grew, the company said they could not afford to pay this any more. 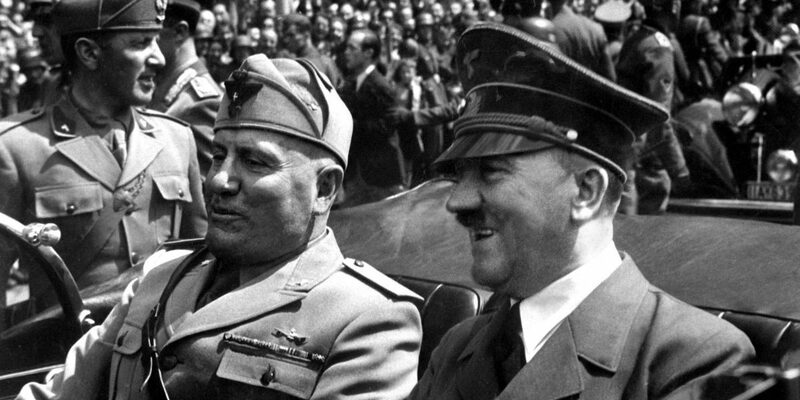 Hitler, having won the industrialists backing, had to get foreign support and that he does. Lord Halifax, once a Viceroy to India, worked with Chamberlin to appease Hitler. He visited Germany in 1937, in his capacity as Master of the Middleton Hunt, on the invitation of Goering, who, amongst other titles bore Reich Master of the Hunt as well, to hunt. In fact, he was the representative of the British government to assure Hitler that his designs on Austria and Czechoslovakia were legitimate. Vuillard writes that when coming to Berghof, Halifax writes in his memoirs that he had almost handed over his overcoat to Hitler, thinking that he was a footman, but for a timely warning. For Vuillard this is a telling instance of Halifax’s wilful blindness to what was happening around him, a willingness to acquiesce to Hilter’s racial and expansionist policies because he sympathised with them. Vuillard doesn’t find the overcoat incident funny because the aristocrat Halifax and his forbearers are “deaf as trombones, dumb as buzzards, and blind as donkeys”. Halifax’s behaviour was the result of “social blindness and arrogance”. Even as Hitler is invading Austria, a farewell dinner for the German ambassador Joachim von Ribbentrop is turning into a farce. During the dinner, Neville Chamberlain gets a note saying that the Germans had crossed into Austria. He passes it on to some of his colleagues, but everyone sits politely waiting for Ribbentrop get up and say goodbye. Ribbentrop nonchalantly carries on regaling an increasingly uncomfortable audience with his tennis anecdotes, knowing fully well what the note is about. That a prime minister would waste his time on meaningless social niceties captures the misplaced priorities of some of those decision makers. Chamberlain was also, as Vuillard points out, Ribbentrop’s landlord. The annexation of Austria explores the malleability of political leaders and their inability to stand up at the right time. The meeting between Hitler and Austrian Chancellor Kurt von Schuschnigg at Hitler’s mountain retreat Berghof on February 12, 1938 where impossible demands are presented and Schuschnigg is browbeaten to defer have a cinematic quality. Schuschnigg is, in turn, brow-beaten, cajoled and manipulated to give in quietly. On March 12, 1938, German troops enter Austria. Contrary to the myth of the powerful and efficient German military machine, the entry of the Nazi forces is shown to be a ramshackle, almost comic affair with breakdowns and delays: an eager and expectant Austrian population left waiting for an army that fails to turn up on time. Schuschnigg was soon forced to resign and imprisoned but, after the war, he, who Vuillard writes, “had said no to every public freedom” became a professor of political science at the “noble university of Saint Louis, Missouri”. Irony indeed. For the ordinary Austrian it was a different story, many committed suicide, so many that it was forbidden to write of them. These deaths were not the result of some private grief but expressions of a collective pain. Walter Benjamin wrote that the Vienna domestic gas suppliers cut off Jews’ connections because they were the biggest consumers and ones who never paid their bills: what Benjamin leaves unsaid is the startling fact that they were gassing themselves to death. Vuillard finds it shocking and wonders whether this was true but, regardless if it was or not, he writes “that when humor tips into such darkness, it speaks the truth”. Vuillard suggests that how we see the Nazis has been determined much by cinema and Hollywood has played a big role. The German intellectual Gunther Stern (Hannah Arendt’s husband) had emigrated to the US during the war, where he lived off odd jobs such as working in a prop factory that stored costumes for Hollywood films. Stern writes in his diary that the prop shop had every conceivable dress: Babylonian, Egyptian, light cotton from Pondicherry, Baluchar silk from Bengal, Adam’s fig leaf and even SA jackboots. Stern, not missing the irony, writes, here was a Jew polishing Nazi boots. Vuillard uses this to illustrate how films even before the war had ended were shaping how we would view these events. Vuillard’s narrative not only shows how “The films of that time have become become our memories”, but notes that while speaking to the Austrians in Vienna after the takeover Hitler screams “in a German very close to the language later invented by Chaplin, full of vituperations, in which they could make out only a few scattered words: war, jews, world”. In classical Europe, the memory palace was a mnemonic device to help orators and speakers to recall their text. The speaker would create an imaginary palace or villa, where the parts of a speech would be – the opening lines at the entrance and so on. The speaker, while he was speaking, could walk in his imagination through this palace and pick up the appropriate lines when he required them.